Katy Stephens joined us in September 2018 as Events Sales Executive. With over 20 years’ experience in London’s conference and events industry, in her new role Katy focuses on maximising opportunities for Sadler’s Wells’ spaces as hire venues and searching for new clients. Hi Katy, could you tell us a bit about yourself and your background? I was born and bred in a small coastal village in Essex. 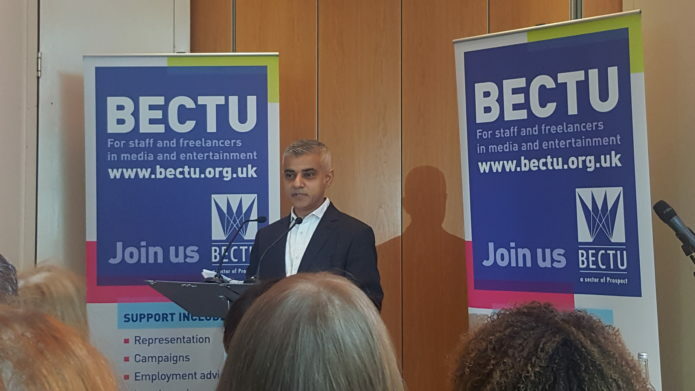 After miserably failing my A-Level exams, a friend suggested that I should enrol on to a BTEC National Diploma in Hotel Management, Hospitality and Operations. I had the best time there, learning not only all the aspects of hotel management, but also how to cook, plan menus, and run restaurants and bars. After college, I went on to do a management training programme, rotating in various departments in different hotels until I decided to focus on Front of Office and Reception. Within a couple of years and with further progression, I became Conference and Event Manager at an independently-owned, four-star hotel in South Kensington. 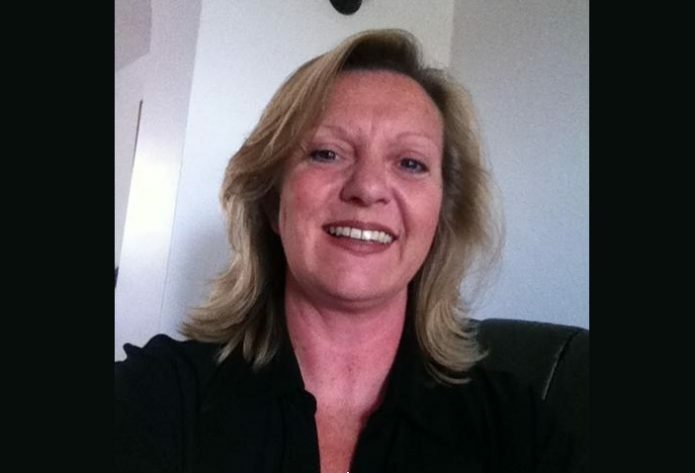 Apart from the hotel sector, I also worked in the catering industry, corporate hospitality and event management, holding positions such as Regional Sales Manager and Senior Events Manager supervising spaces like ExCel London and working on prestigious events such as the London Boat Show, the Classic Car Show and World Travel Market. A key moment in my career was when I joined the events team at the Hilton London Metropole, where I had the opportunity to arrange one of my most memorable events: the organisation and event management of the Olympic Sponsors, VISA, in 2012. I was lucky enough to attend the Opening Ceremony! From setting up hospitality and VIP dining in a tent to sumptuous banquets in the Hinze Hall at the Natural History Museum, the list is of events I managed is endless, and each one was completely different! I’ve worked in Front of House to greet guests, but also put the gloves on, and helped the team clear plates and glasses. That’s how this industry works! Have you noticed any difference working at an arts organisation compared to working in a more corporate setting? 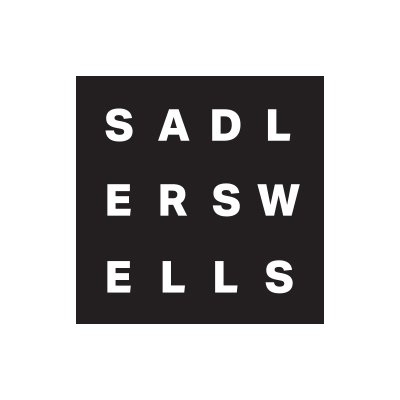 Was there anything particular about Sadler’s Wells that drew you in? First of all, the atmosphere is much more relaxed at Sadler’s Wells compared to a corporate setting. The environment in the office is a joy to work in, with many laughs and discussions on the wide and varied range of events that we hold. This is not to say that working here comes without challenges. The deadlines for venue availability are ever-changing, making some of the sales aspects a little more difficult. Also, as my background is more corporate, it has been hard to ensure that we are targeting the right market sector for the spaces. This has involved going down the more artistic route, hunting out contacts and looking for business in areas where I had not ventured before! It’s great that I have the opportunity to work with a new type of business and learn the way of working within a theatre environment, where each event enquiry is unique. Before coming to Sadler’s Wells, I was briefly exposed to event management in the arts. During a temporary contract with a leading catering company, I worked with the Event teams organising The Brits Awards 2018 at the O2 and the Mercury Music Awards 2018 at the Eventim Apollo. 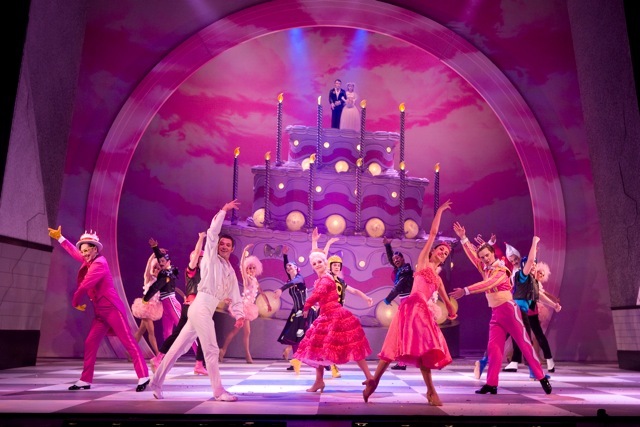 When the opportunity to join an exclusive artistic venue like Sadler’s Wells arose, it was too good to miss. You joined the events team in September. What does your job entail? What are the most exciting and challenging aspects of it? Since joining the team, I have been asked to take a more proactive role to ensure that we are up to date with our online listings for both venue information and availability and to increase the number of enquiries that we receive. I have always firmly believed that ‘people buy from people’ and that, if you are confident and believe in your product, your clients will be more inclined to go with you as a venue. What advice would you give to people thinking of pursuing a career in event management in the arts? Be prepared to learn and be quick! In the events and catering industry you are always learning. It is an industry that is ever-changing. Be mindful that event management in the arts world is not the same as in the corporate environment. Therefore, learn the rules! Have an understanding of how systems work in each setting and what you need to get in order to make a complete and concise proposal. Make sure you copy in all relevant colleagues to emails and correspondence, as in this environment it is a 24/7 operation. Event management is not a Monday to Friday, 9 to 5 job! To be a successful event manager, be prepared to work hard and often long hours. Have the memory of an elephant. You will have hundreds of conversations in an hour and someone will always come back and say, “You know that thing you mentioned…”. If you are not sure, write it down! 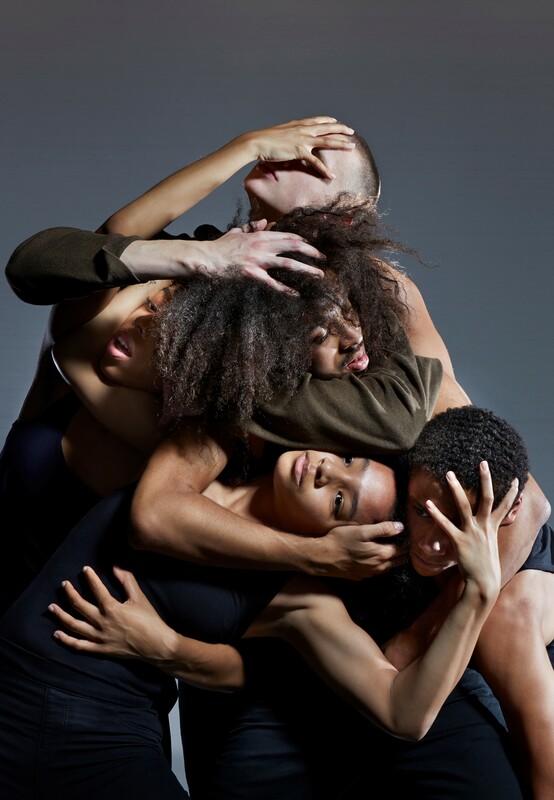 National Youth Dance Company (NYDC), the UK’s leading incubator for young talent run by Sadler’s Wells, has started to rehearse its new piece, MADHEAD, under Botis Seva’s artistic guidance. 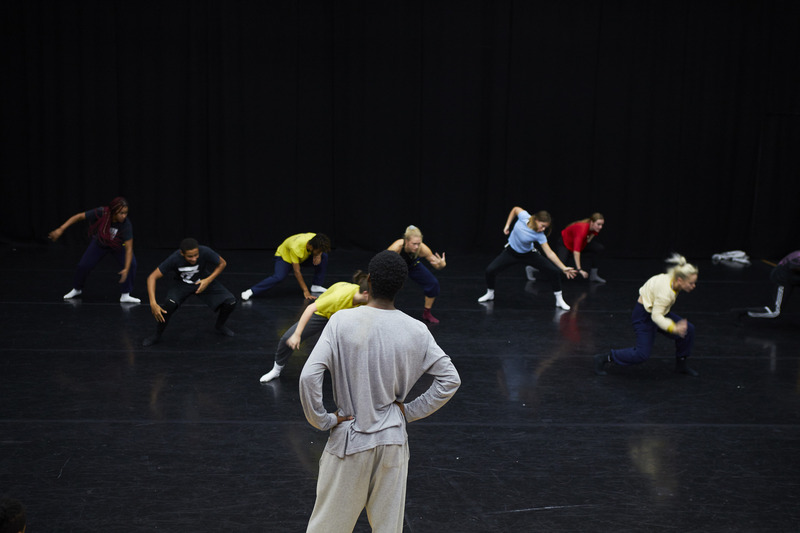 The ensemble had their first residency at DanceEast in Ipswich in October. Among them is Harriet Musgrove, a 18-year-old dancer coming from Exmouth in Devon. Following the residency, she shared her thoughts on how it feels to be a NYDC dancer. “Prior to the first residency, I felt a variety of emotions: I was anxious, excited, tense and also quite overwhelmed! I can remember walking through the doors of Sadler’s Wells and all the other 37 members of the company had already arrived. But everybody welcomed and put me at ease immediately – it was a great feeling! We arrived at DanceEast in Ipswich after travelling from Sadler’s Wells and headed straight into the studio, where Botis Seva and his dancers Jordan and Joshua greeted us. We were thrown straight into the deep end with some challenging repertoire and some crazy improvisation tasks. Even after the first day of the residency, I felt incredibly inspired by the energy of Botis and his team. A typical day during an NYDC residency begins with a warm up led by members of the company followed by six hours of dance class with Botis and his team. Training was interspersed with breaks to re-energise and recharge our bodies. Our days would end with our Zen for Ten, which gave us time to reflect and write down anything we wanted to – an exercise I really appreciated. We also had something called Toolbox sessions, extremely insightful discussions led by the NYDC team each evening about auditions and applications for dance schools. MADHEAD will premiere at Dance East in Ipswich on 20 April 2019, followed by a nationwide tour and a final performance at Sadler’s Wells on 19 July 2019. A nationwide campaign jointly led by arts and human rights organisations launched today with the unveiling of a human rights flag by artist Ai Weiwei. 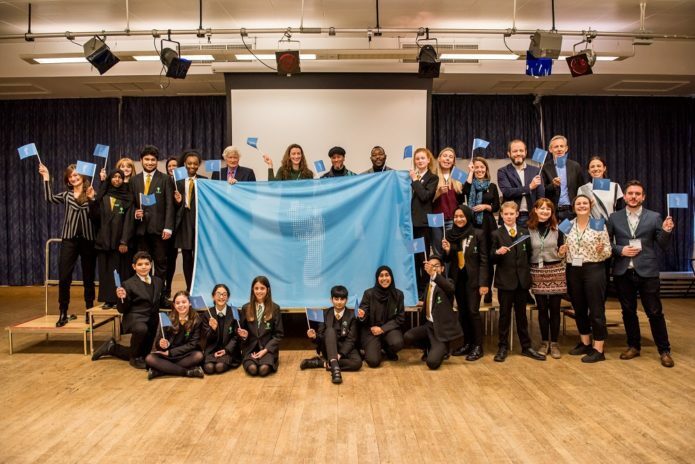 Marking the 70th anniversary of the Universal Declaration of Human Rights, the new flag was commissioned as part of Fly The Flag for Human Rights. 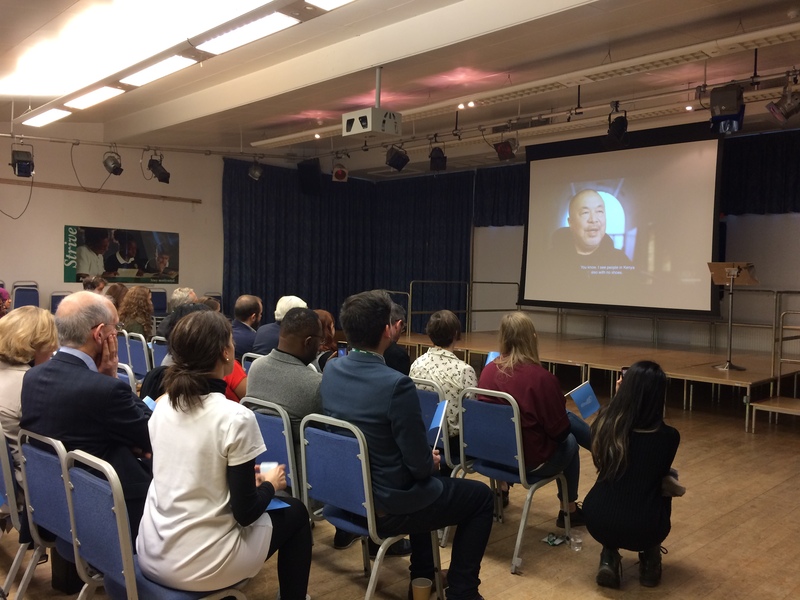 Confronted by the real and present dangers of a world changing at break-neck speed, the initiative aims to offer hope and to educate generations to come about the absolute importance of universal human rights. 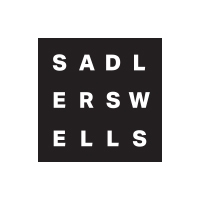 Sadler’s Wells is among the co-producers of the project alongside Fuel, Amnesty, Donmar Warehouse, Human Rights Watch, Liberty, National Theatre and Tate Art Galleries – with many other institutions from across the UK supporting as advocates. 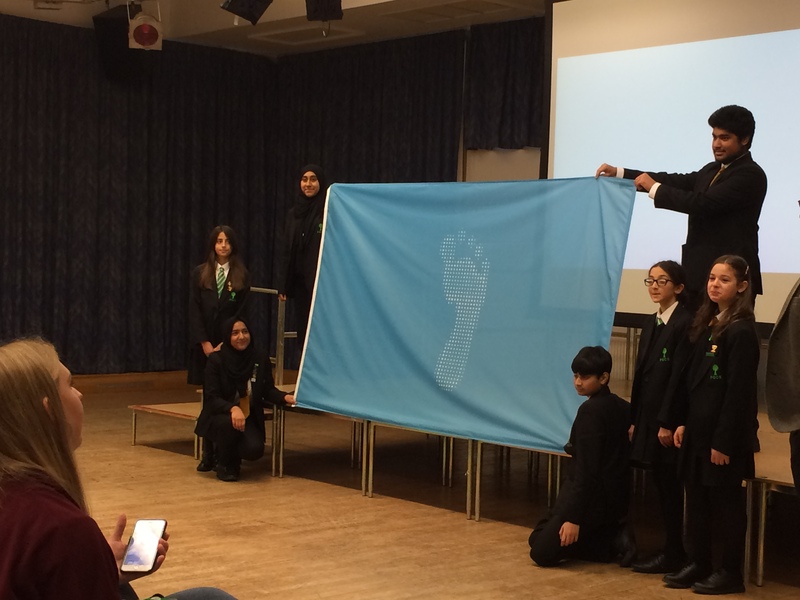 Held at Forest Gate Community School in Newham, east London, the launch saw pupils reveal the flag and ended with an invitation to schools, libraries, offices and community centres across the country to come together for a week of action on 24-30 June 2019 – to Fly The Flag in any way they like and celebrate that human rights are for everyone, every day. 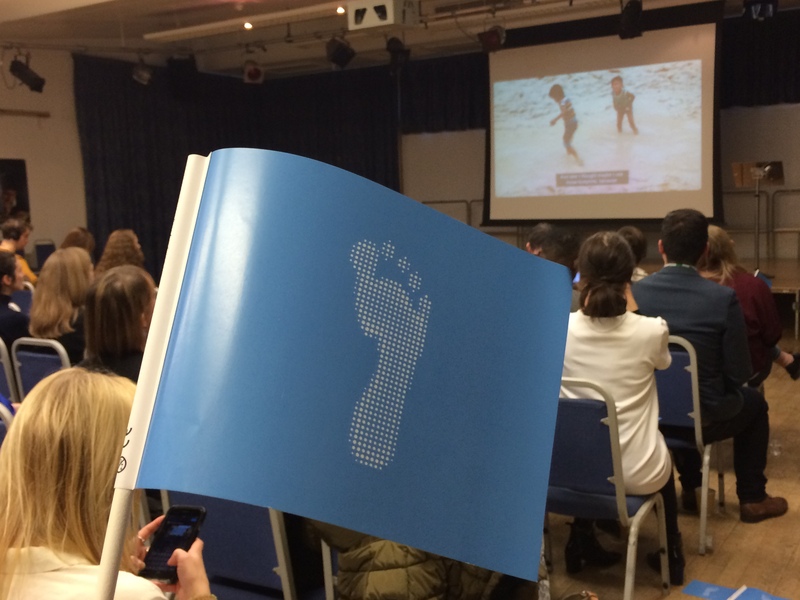 Education packs have been produced and made available on the Fly The Flag website for schools, to encourage discussion on human rights in the classroom. 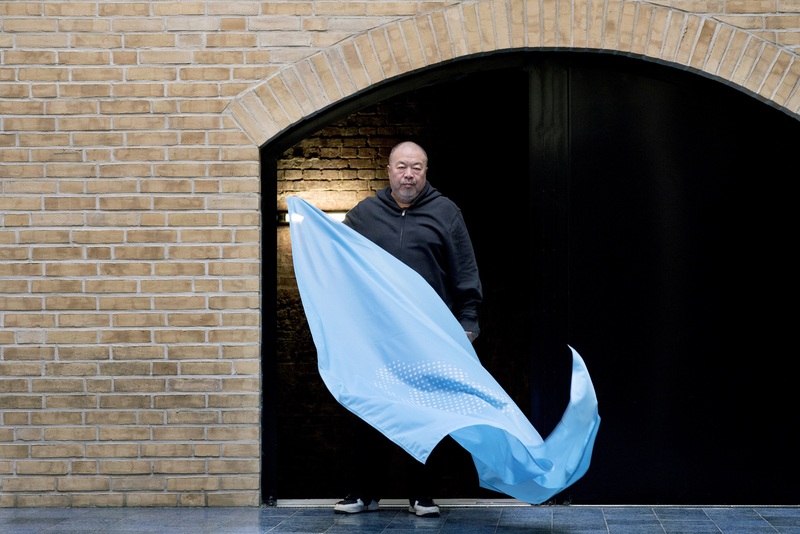 You can watch a video of Ai Weiwei discussing the concept behind his flag design here. 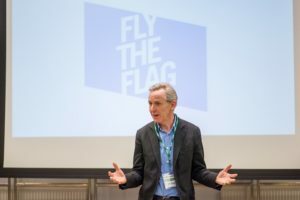 For more information and to sign up, visit www.flytheflag.org.uk or follow @FlyTheFlag70 on social media. The National Youth Dance Company (NYDC) has started to work with 2018-19 Guest Artistic Director Botis Seva on a new piece titled MADHEAD. 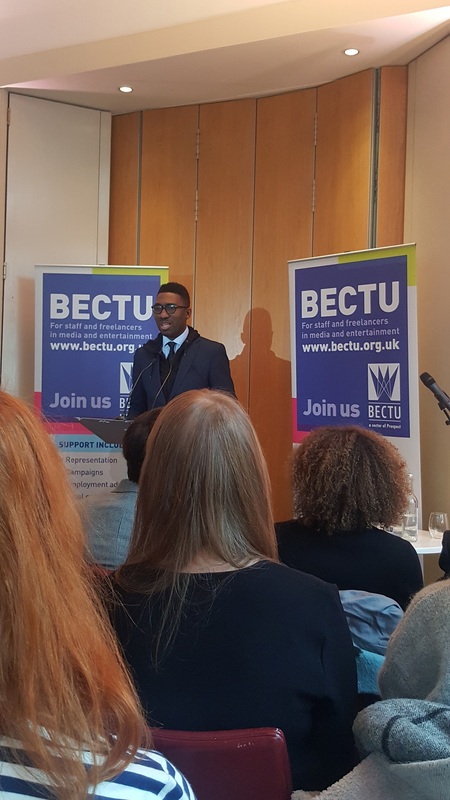 Twenty-eight new members – 19 female and nine male – were selected through experience workshops held throughout the UK over the summer. They joined ten returning dancers from last year to form a company of 38. Far From The Norm Artistic Director Botis Seva will lead this new cohort. His appointment followed the world premiere of his recent highly acclaimed piece, BLKDOG, commissioned as part of Sadler’s Wells’ 20th anniversary’s triple bill, Reckonings (Oct 2018), which also included works from Julie Cunningham and Alexandra Seutin. Seva has also recently collaborated with filmmaker Billy Boyd Cape to produce Reach, a short film commissioned by Sadler’s Wells as part of Channel 4’s Random Acts series. 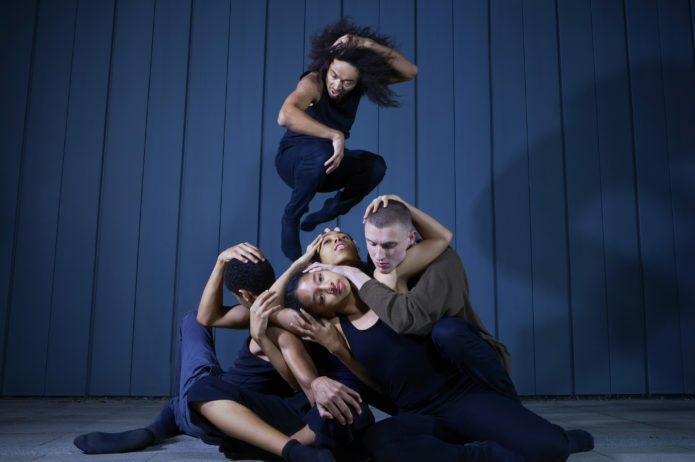 The company will premiere MADHEAD at Dance East in Ipswich on 20 April 2019, followed by a nationwide tour and a final performance at Sadler’s Wells in July 2019. The new commission will blend contemporary dance, physical theatre and hip hop. Established in 2012 and run by Sadler’s Wells, NYDC is the UK’s flagship company for young dancers aged 15-24, bringing together and nurturing the brightest talent from across the country with the aim of shaping the future of dance. NYDC’s dancers are mentored during four intensive residencies in school holidays to rehearse the new piece. Read here new member Harriet Musgrove’s personal reflection on the company’s first residency held at DanceEast in Ipswich in October. 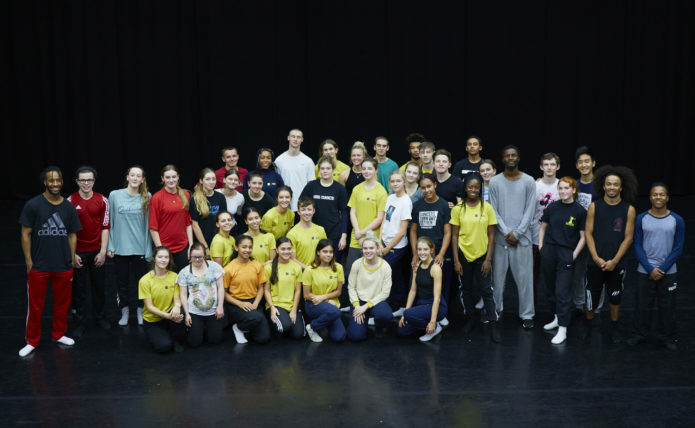 What the NYDC programme offers to its young members is a unique insight into the dance profession and the invaluable opportunity to collaborate with professional dance artists and their creative teams. The year-long experience in the company has proved successful in providing dancers with the necessary skills and techniques to find career opportunities. Over 80% of NYDC alumni have either gone on to undertake further dance studies or work professionally at established dance companies such as Matthew Bourne’s New Adventures, Cullberg Ballet, BalletBoyz and Rambert2. Struggling to find the perfect gift? In all the excitement of festive lights, decorating trees, singing carols and filling stockings, we know Christmas shopping can be overwhelming. To make life a little easier, we’ve handpicked our top gift picks for the dance fan or culture-curious friend in your life. Happy shopping! Featuring benefits including priority booking, exclusive brochures and discounts, our gift memberships offer backstage insight and allow a friend or family member to see more whilst saving 20%. 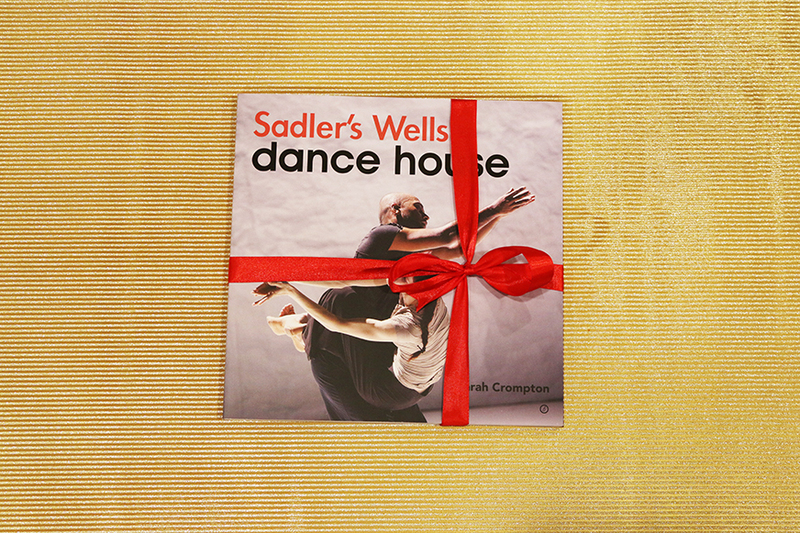 Gift memberships start at just £60 and come packaged up in our stylish membership packs – the perfect wrapping for a year’s access to world-class dance. Buy here. 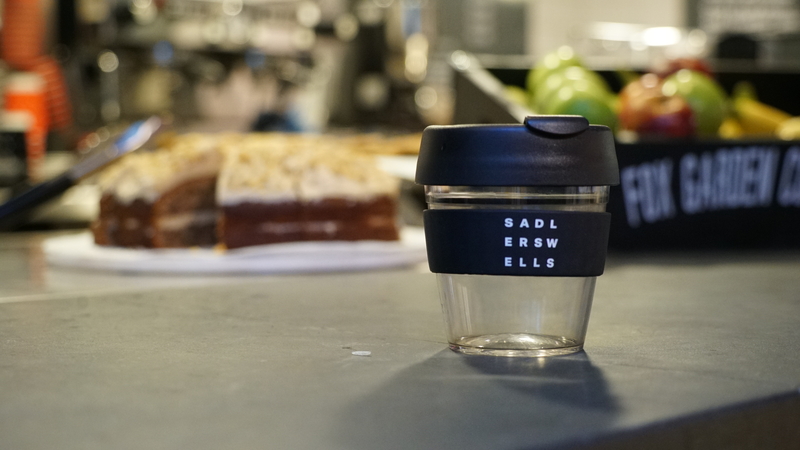 Lightweight and eco-friendly – the Sadler’s Wells keep cup is a stylish way to enjoy a hot bevvy on the go whilst reducing your environmental footprint, for just £15. Buy here. Discover how Sadler’s Wells shaped the world of dance with exclusive interviews with artists including Matthew Bourne, Sylvie Guillem, Akram Khan, Russell Maliphant, Wayne McGregor and Hofesh Shechter, online price just £15. Buy here. From Matthew Bourne’s Nutcracker! to Pina Bausch’s Orpheus and Eurydike and Akram Khans’ DESH our range of DVDs and CDs let the dance fan in your house enjoy some of the most iconic pieces we’ve presented again and again. From £5. Buy here. Tickets are an obvious choice for any dance lover, but if you’re overwhelmed with choice at our jam-packed spring 2019 season, here’s something that is sure to be a winner. The acclaimed San Francisco Ballet bring their whopper of a programme to Sadler’s Wells in 2019, with four triple bills to choose from. Their work spans classical to contemporary, with new works by world-famous choreographers like Alexei Ratmansky, and music ranging from Björk to Phillip Glass! From £15. Buy here.